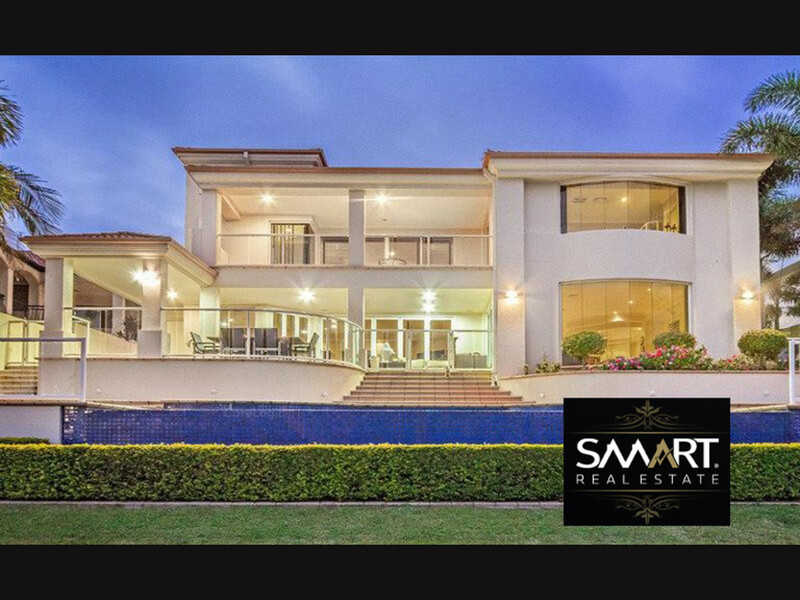 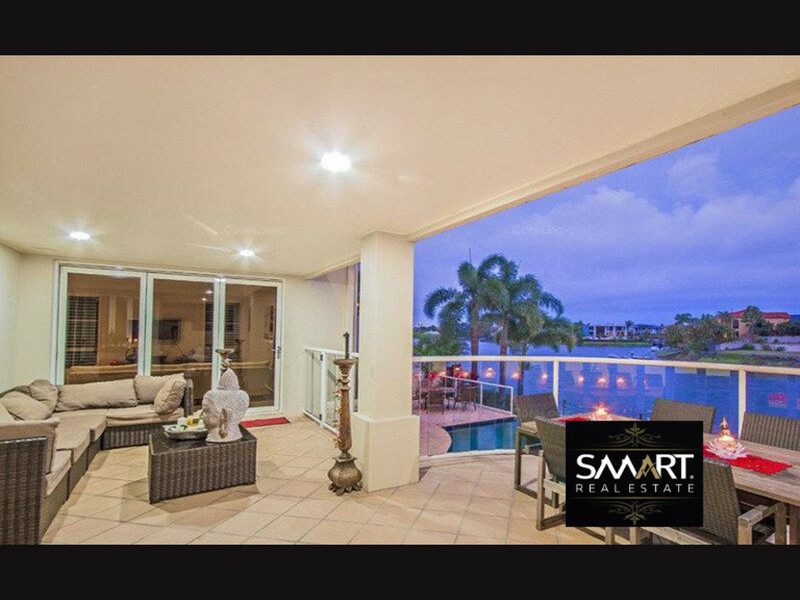 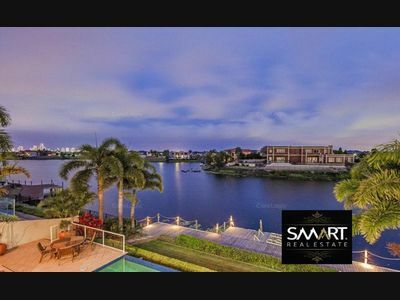 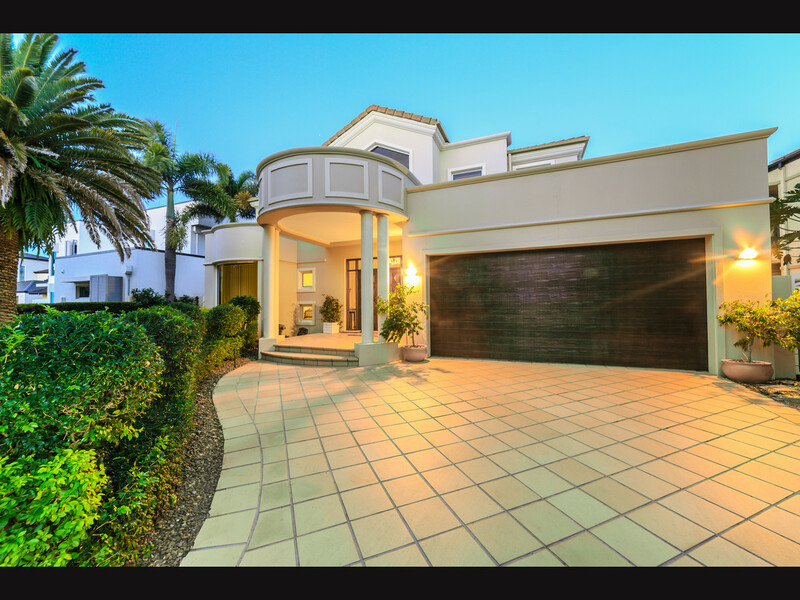 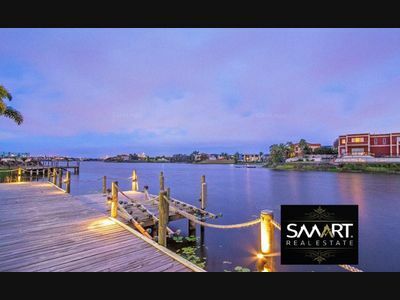 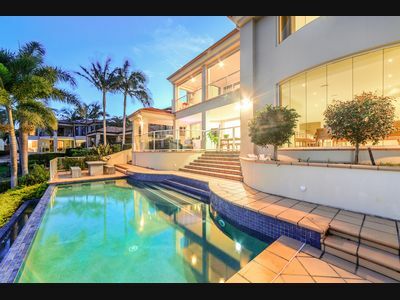 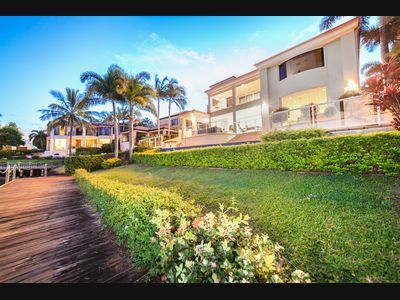 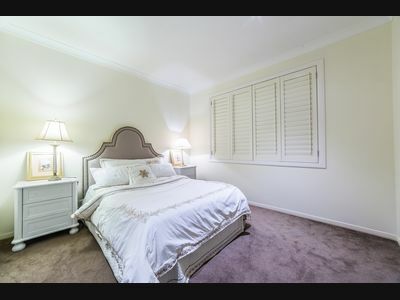 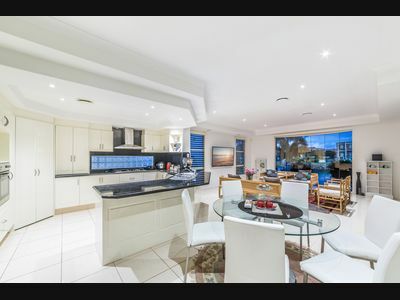 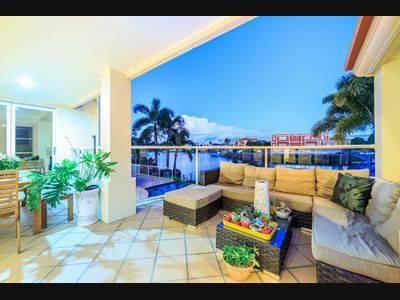 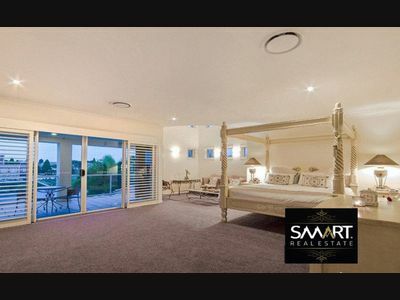 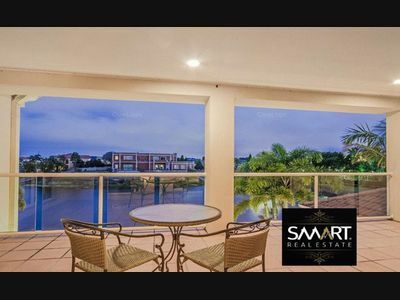 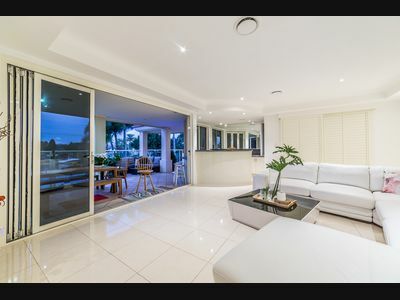 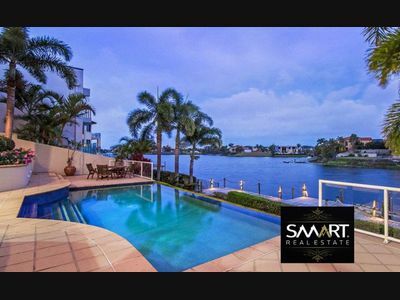 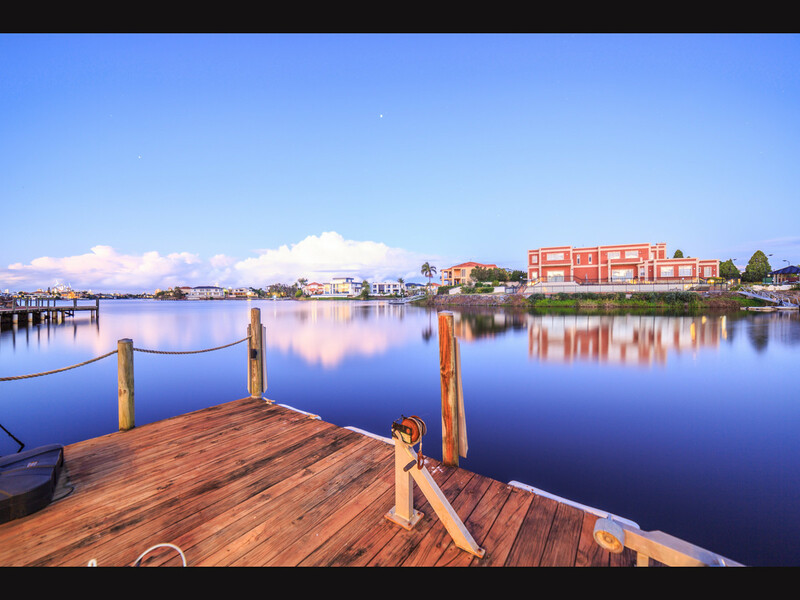 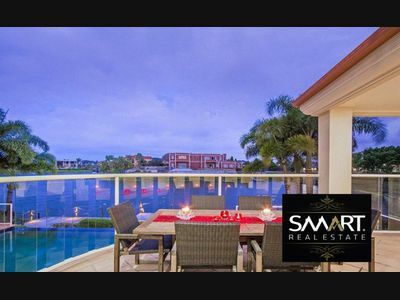 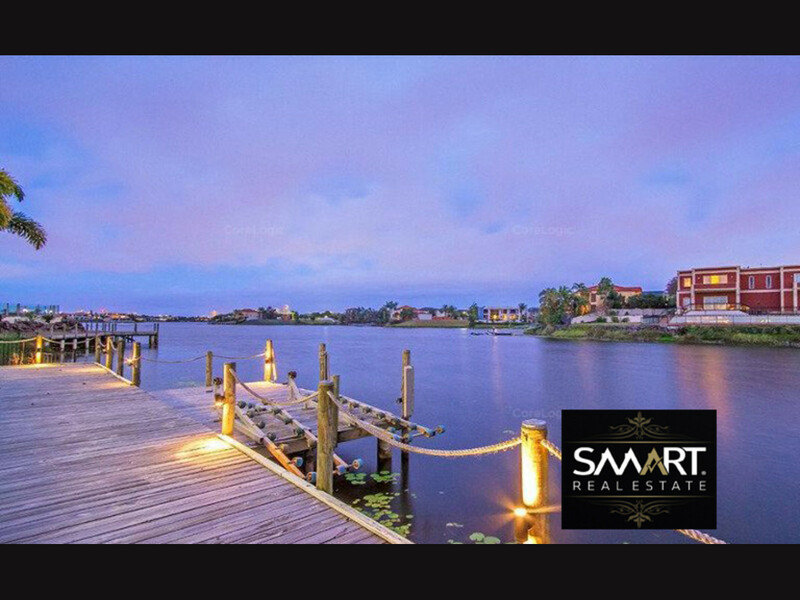 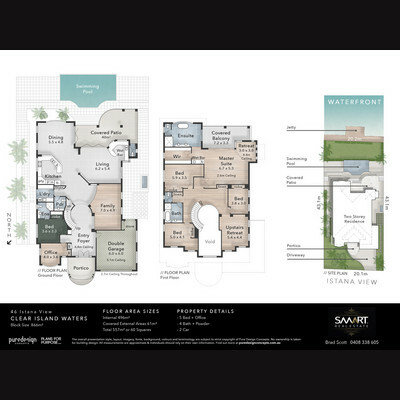 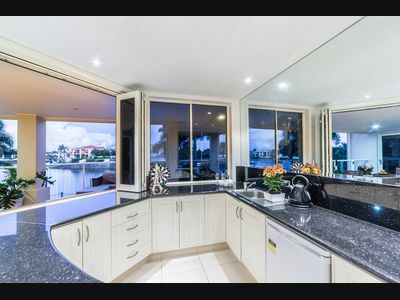 Stunning 60 square, 6 bedroom, 3.5 bathroom home with 4 luxury living areas including formal lounge and dining, family room, downstairs media, upstairs media, sprawling balconies and outdoor covered terrace overlooking wide boatable water. 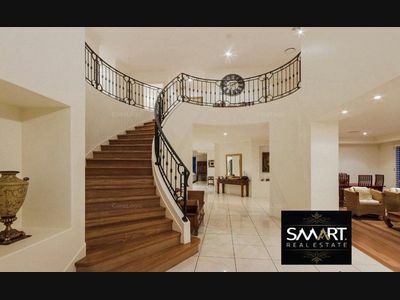 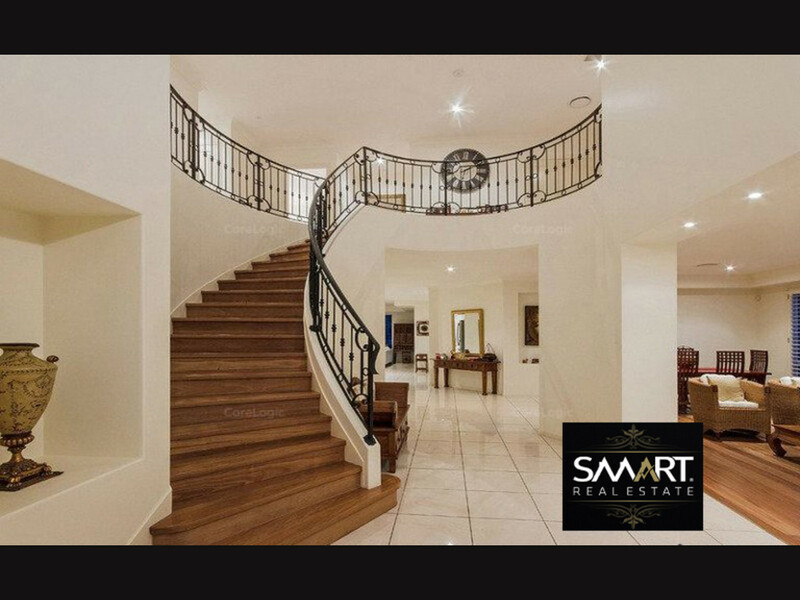 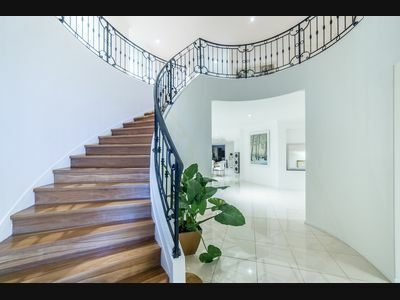 High ceilings, massive entry void, with ornate balustrading on winding timber stairs. 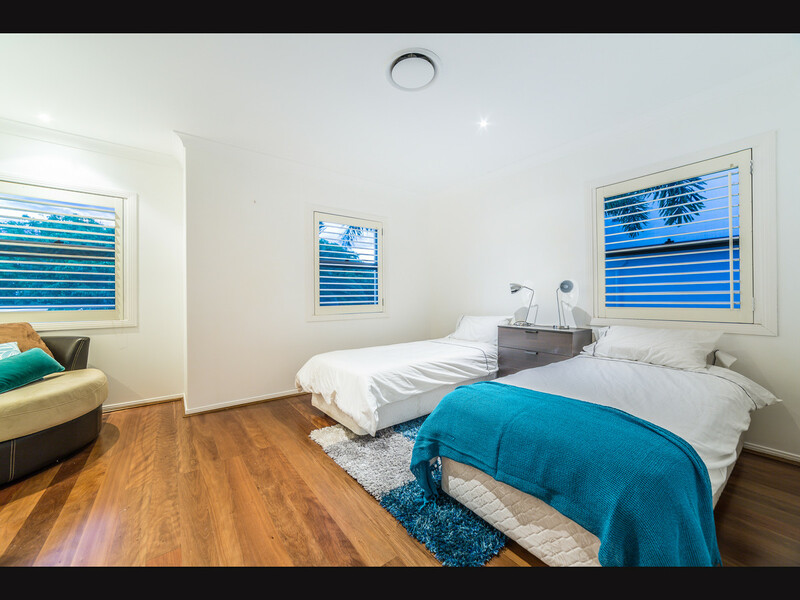 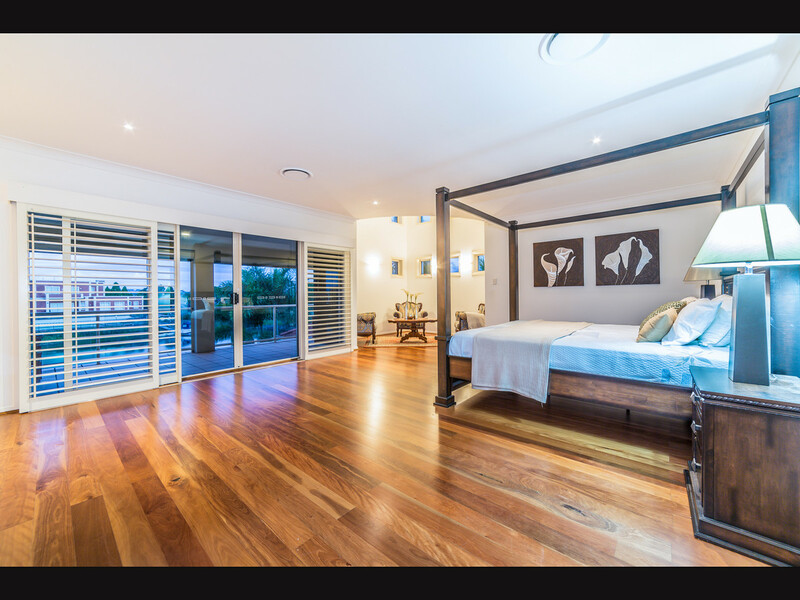 Master suite straight from the pages of Vogue, timber boardwalk with dual jet ski ramps, wide water with views to Broadbeach. – Reverse cycle ducted air. – Ornate recessed ceilings & bulkheads in formal areas and kitchen. 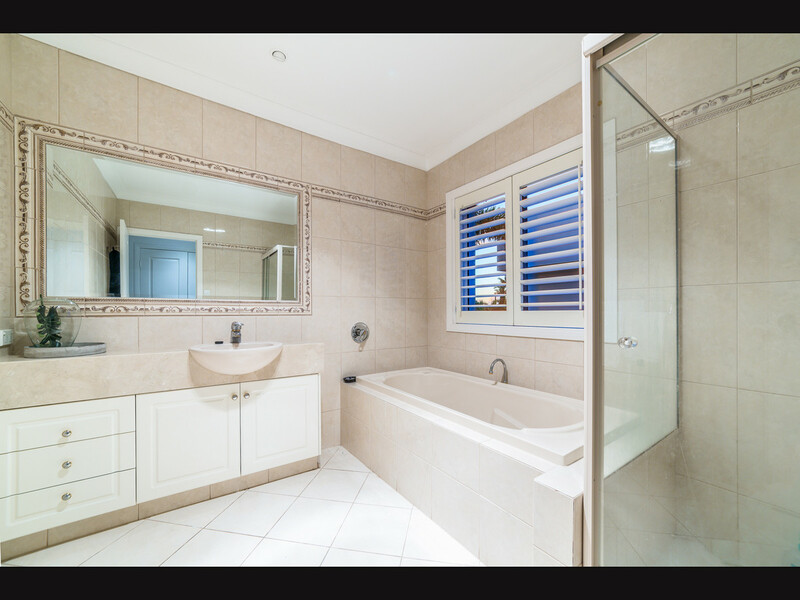 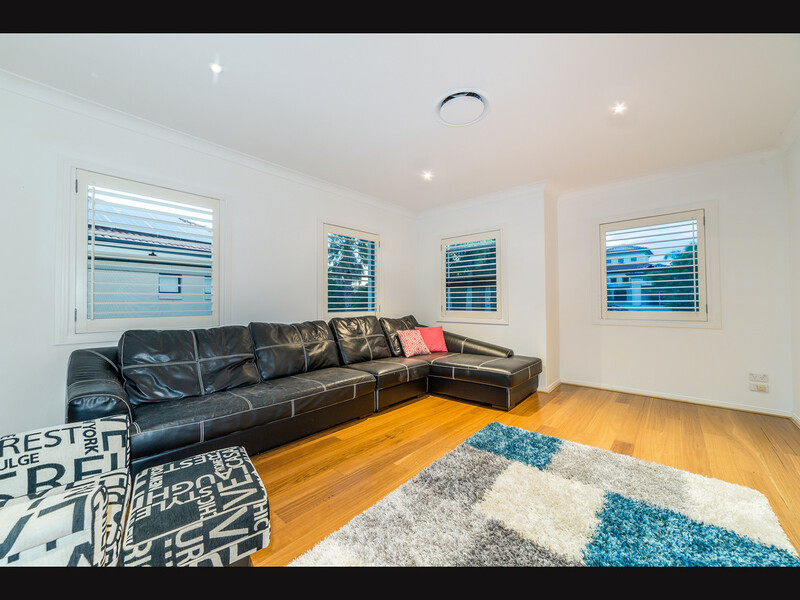 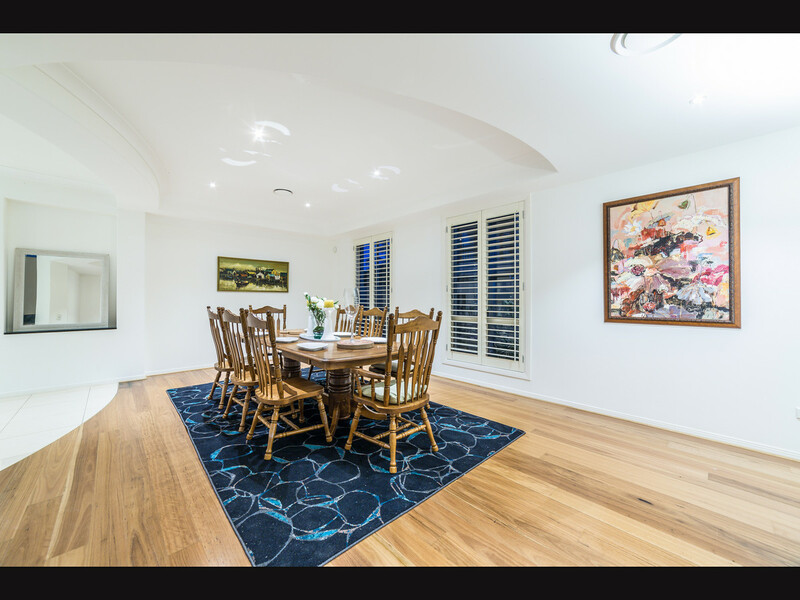 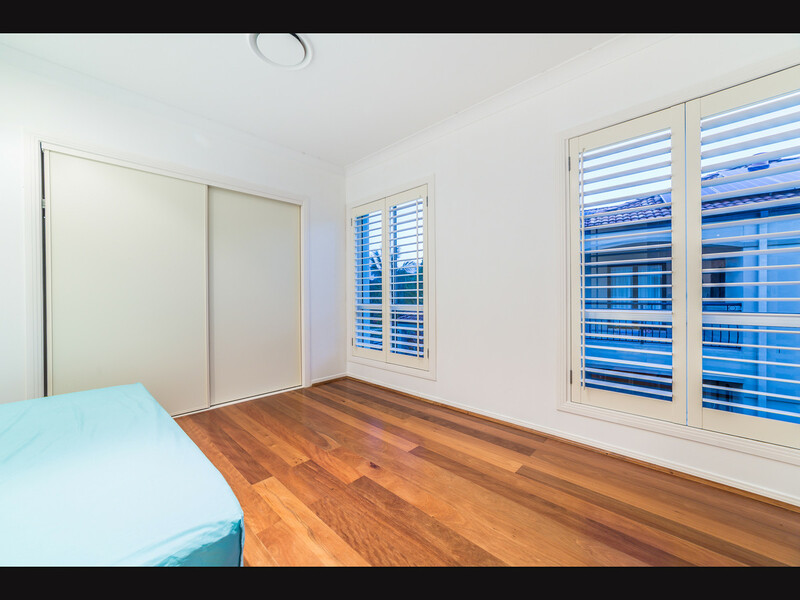 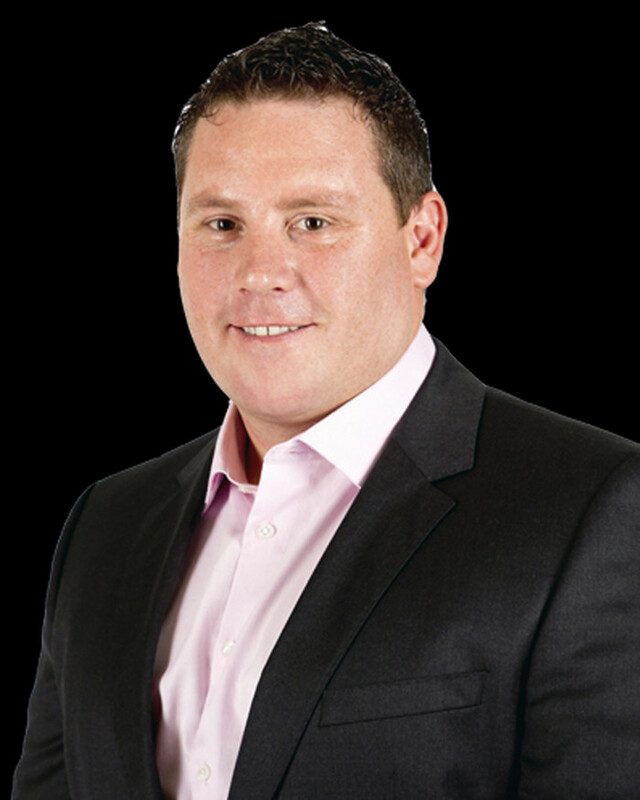 – Miele appliances, Timber shutters. 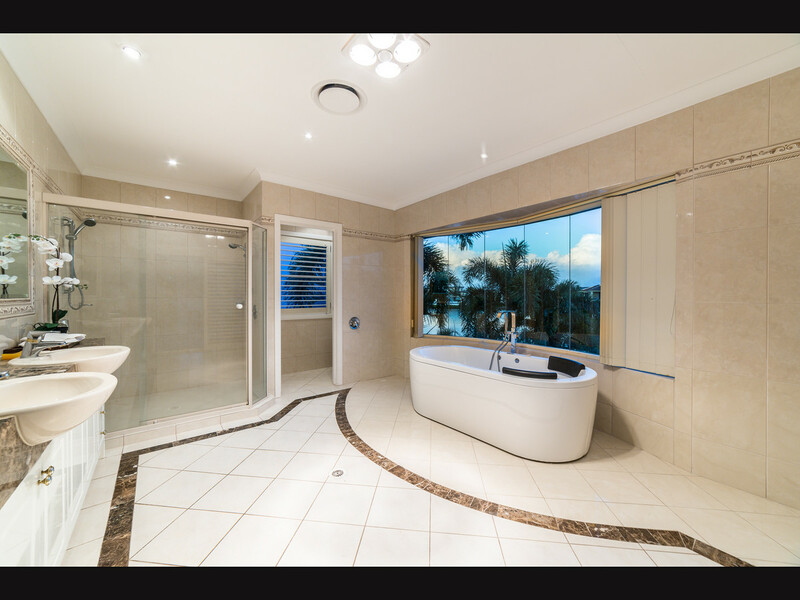 – High quality Italian marble. – Generous fully tiled pool. – Bi-fold doors onto large alfresco terrace. – Located in the luxury security estate – The Isles of Istana. 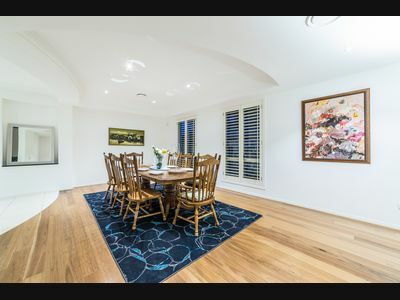 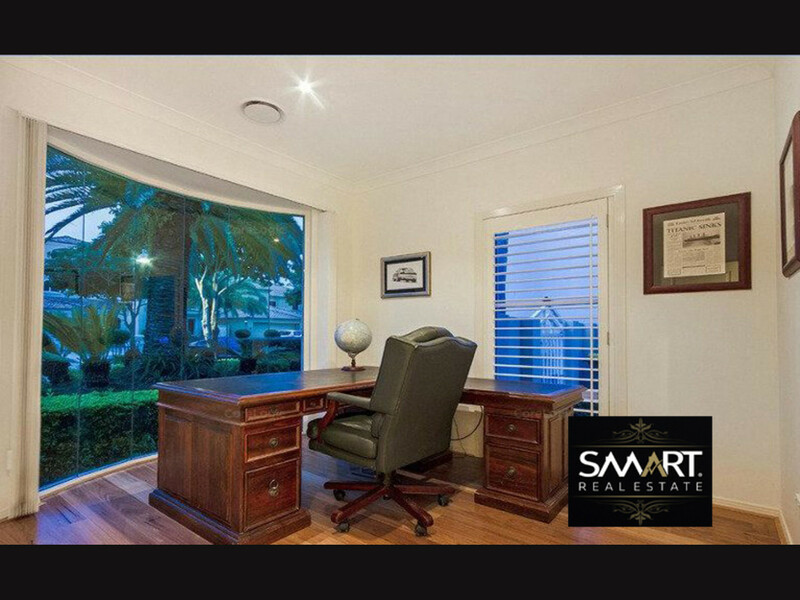 A well built, classically styled home that won’t go out of date. 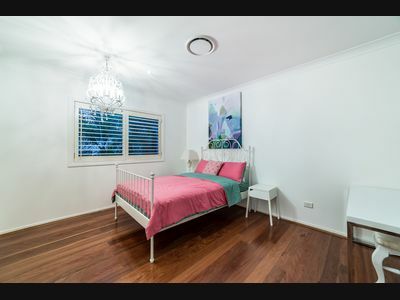 Inspections a must for those requiring a family friendly, quality home in near perfect condition. 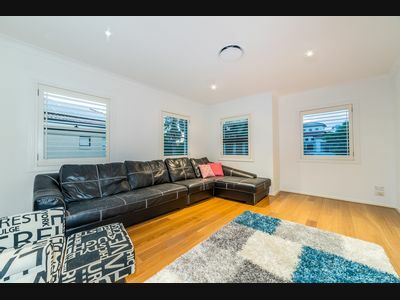 Council Rates: Approx $* p.a. 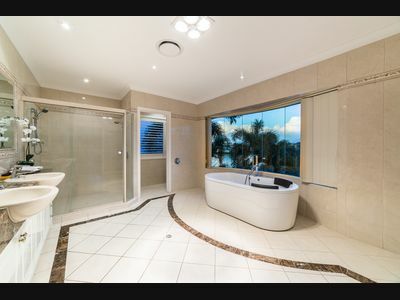 Council Water: Approx $* p.a.